Welcome to TXPA Parent Portal! 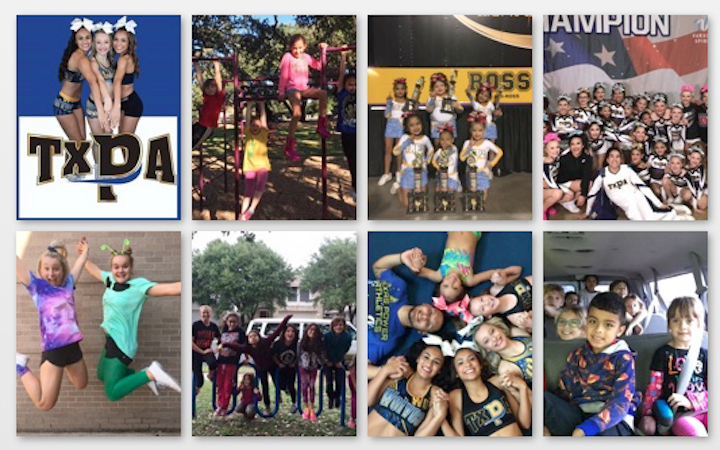 The premier South Austin Gym offering after school care, recreational tumbling and cheer programs and the most successful competitive cheer program in Austin Texas since the inception of the company. We are also the premier partner to high schools cheer programs such as UCA National Finalist Bowie High School, Austin High School, Anderson High School, Lehman High School, Aikins High School, Del Valle High School and Lockhart High School. We support our colleges also as the home to National Finalist St. Edwards University, Houston Tillotson College & Texas State Competitive Cheer. We partner with the School for the Deaf who had their best showing in their school's history this year. Come join this program like so many others have done already!